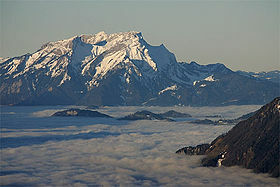 Reading my metaphysical fantasy novel, "Pursuit", you may think that I have set the dragon scenes on Mount Pilatus because it's close to where I live. 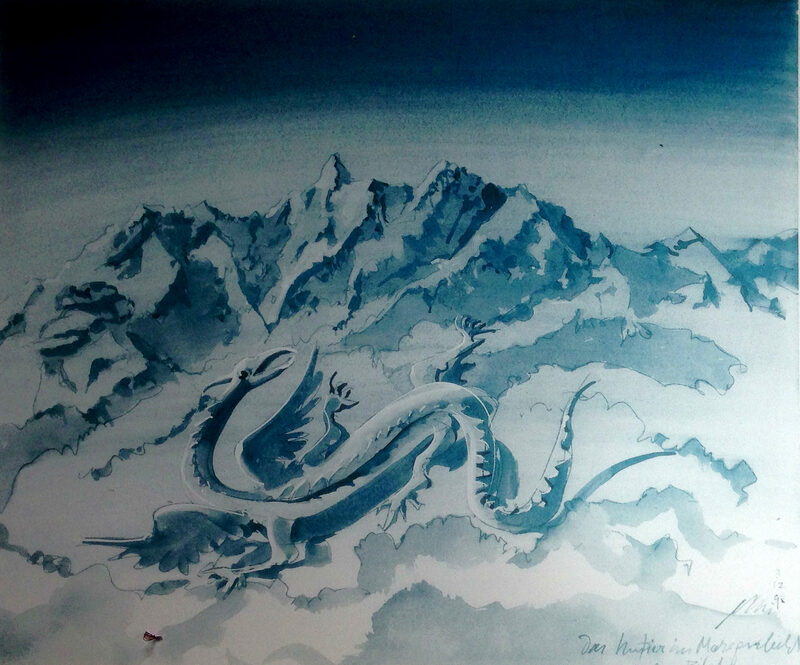 Well, actually I didn't invent the dragons of Pilatus. 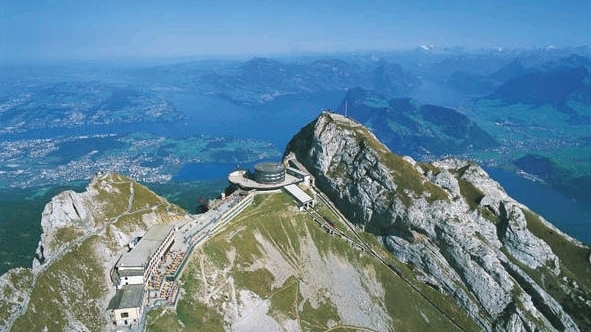 Stories of dragons on Mount Pilatus go back hundreds of years. Dragons have been seen flying between Pilatus to other mountain peaks. During one such flight the dragon flew so close to a farmer that the farmer fainted. On waking he found a peculiar stone, apparently dropped by the dragon (on purpose I wonder). This "Dragonstone" had mystical healing powers and is to be seen in the Natur-Museum Luzern. Perhaps it still has the healing powers. A visit may be worth your while. There is also a story of a dragon slaying. The Regional Governor Winkelried is said to have killed one of the dragons (indicating there were more than one). However as he apparently died right afterwards and no dragon remains were found his story remains doubtful - it was probably meant to be a political move to get votes. The most interesting story involves a young cooper and shows how benevolent the ancient dragons were. This young man fell into a deep crevice and was knocked unconscious. On waking he realized he was trapped. When two dragons approached they merely sniffed at him and allowed him to stay in their nest over winter. They kept him warm and fed him. When spring came the dragons left their cave and one of them allowed the young man to hold onto its tail and together they flew out of the deep cave. Since then dragons have been seen as benevolent creatures with magical healing powers. I wonder where they went. 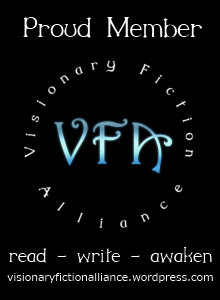 The stories of the Pursuit trilogy utilize myths and legends and real artifacts and places to enhance the story. They also portray the very real "Inside" world of the sub-conscience and super-conscience. It is my conviction that our myths have a basis and a beginning and that perhaps there is more truth in those ancient stories than they are credited for. What do you think?